When two opponents who are virtually the same in terms of experience and skills meet, who will emerge victorious? More often than not, it’s the contender who is better prepared both physically and mentally. Today, many elite level athletes from different disciplines swear by the benefits of using visualization in order to achieve their goals, including copping individual honors and titles and winning championships. According to sports psychologists, combining visualization with physical preparation can aid in developing skills (both in terms of acquiring and retaining these), boosting motivation and confidence, increasing focus, identifying and addressing roadblocks, and reducing jitters. Apart from the aforementioned benefits, visualization techniques can be utilized alongside relaxation techniques in order to facilitate rest and recovery, the elimination of muscle tension, and improved focus levels. During actual competition, visualization can be used as what sports psychologists refer to as pattern breakers. Pattern breakers refer to words or phrases that are used during training and competition to move away from a negative state of mind toward a positive mindset. If you are competing or training and things are not going the way you intend them to, you can redirect yourself and your mind with these pattern breakers. Whether you are a professional athlete or someone who is trying out a sport for fitness, you can use visualization to elevate your performance. Visualization in sports training can be categorized into two types: self-directed visualization and guided imagery. In self-directed visualization, you are both the director and actor in the outcome that you want to achieve. It can be as simple as picturing yourself holding a trophy or going back to your moment of sports glory. 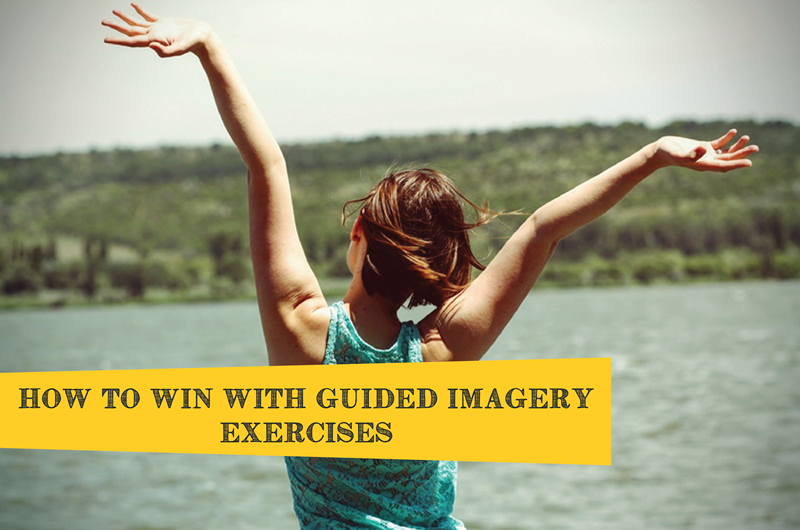 In guided imagery exercises, you utilize the imagery and script created by a professional in helping you picture yourself achieving what you have set for yourself. You can use visualization to motivate yourself during training, familiarize yourself with the sports venue, refine your techniques, banish negative thoughts, refocus, and make a mental picture of the things that you need to get right in order to win. Visualization can be used before, during and after your training. If you are learning a new skill, using imagery will help you better learn and master these. On the actual day of the competition, you can use visualization before the event starts. If you are looking to dominate your competition, it is imperative to find each and every advantage you can leverage, including developing your mental game.